There are some nights you just feel like having a glass of wine but the tasty treat can be an expensive one! It doesn’t have to be though. You can drink Costco wine. Costco is the number one wine retailer in the United States, according to The Reverse Wine Snob. What is surprising to see is that the Costco wine prices are just like the rest of the prices in the store – low! Costco is able to keep wine prices 10 to 20 percent lower than other stores because of its membership model. Each person shopping at Costco pays a membership fee which enables the company to keep prices relatively low. Wine being sold in the store is no exception. Costco has decent wine and most are in the under $20 range. 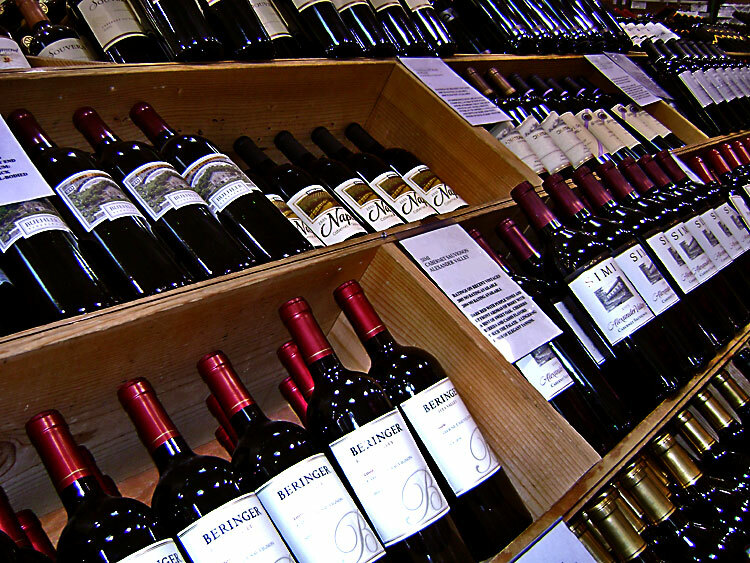 Most brands of wine sold at Costco is available at other stores at a higher price. The quality of Costco wine is the same as quality of wines at other stores. Don’t be scared to stray away from the Costco “Kirkland” brand wine either. Many of the Kirkland wines are high quality and usually at 50 percent of the cost of a bottle with the winery’s original label. Can You Buy Costco Wine Without a Membership? 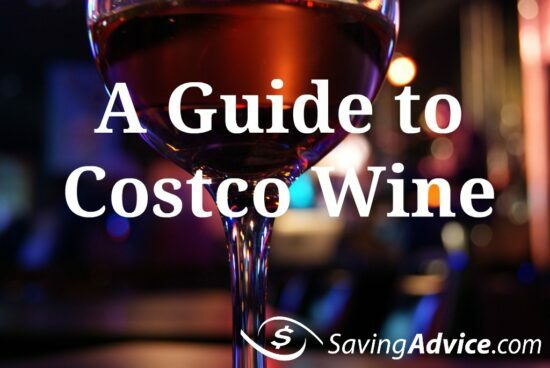 Technically to shop at Costco you need to have a membership, however, if you really want to get your hands on some Costco wine there are a few ways around the membership. You can go to Costco with a friend who has a membership. Simply accompany them to Costco as a guest and pay them for your items once you’ve left the checkout lane. This is a legitimate ways to get around paying for a Costco membership. The only problem with this is that sometimes schedules don’t always match up to set up a shopping time. If that’s the case you can purchase gift cards. Only Costco members can purchase Costco gift cards though so you’ll either have to have someone buy you the gift card that has a membership or buy them secondhand (on eBay or Craigslist). Once you’ve gotten the gift card you can shop at Costco until it has run out. Either way, the savings on Costco wine will be worth the trip! Will you try Costco wine? What are the Best Deals to Buy at Labor Day Sales 2014? Labor Day is a federal holiday, and while many places will be closed, the vast majority of retail stores will be open, and they’ll be having sales in conjunction with the holiday to drive traffic to their stores. The question that many people ask is what are the best deals to be found during Labor Day sales? Be sure not to fall into the holiday sales event trap. When it comes to all shopping, and especially holiday sale shopping, just because something is on sale doesn’t necessarily make it a good deal. One of the worst shopping mistakes people make is to purchase items simply because the price is good. Price should never be the primary factor when making a purchase. The primary factor when making a purchase should always be whether you need the item or service, and if you were already planning to buy it. It doesn’t matter how great the discount is if find something you weren’t planning to buy. When you spend money on things you had no intention on buying until you saw the price, you are wasting money since the it could have gone toward the purchase of something you wanted and needed. For those of you looking to score a deal this Labor Day weekend, below are some of the items which you can often find the best deals on for the year. One of the most overlooked deals that can be found are Labor Day wine sales. The wine grape crop is being harvested and wineries are selling any excess stock at a discount to make room for the new wine they will be producing. 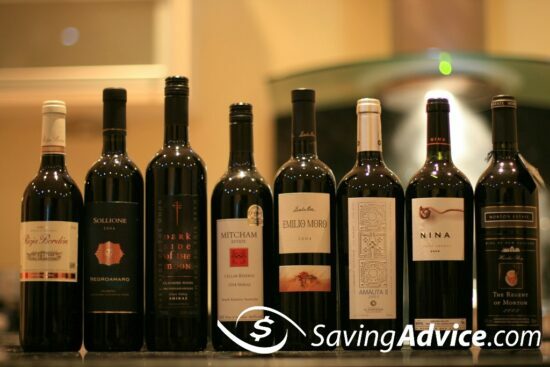 For those who love wine, it can be a great time to stock up, especially if you have a current year wine you enjoy. Labor Day sales are a great time to find bathing suits, swimwear and summer clothes. With the holiday marking the unofficial end of summer, all summer related clothing needs to be cleared out to make way for the Fall fashions hitting the retail stores. You should be able to find summer clothes at more than 50% off their regular retail prices during Labor Day sales, and often as much as 80% off. It’s a great time stock up on summer clothes for next year, and replace any items that have worn out during this summer. For those who procrastinate on getting back-to-school supplies, this is a great time to get everything for your kids. Stores are trying to liquidate all the excess stock of these items and there can be huge discounts to be found. Even if you have done all your back-to-school shopping, it’s a great time to stock up on replacement items you’ll need during the year, and even for supplies for the kids next year. It’s also a great time to stock up on basics for your home office. Many of the back-to-school-supplies can also be used for home offices making it a wonderful time to make sure you have everything you need for the year. If you’re in the market for a new mattress, Labor Day sales can be one of the best events to purchase a new one. They are often discounted as much as 60% over the holiday, and there can be some great deals on close-out models as well. Summer is coming to an end, so many outdoor items begin to get discounted during Labor day sales. It’s a great time to get a specific model you want at a good price. If you aren’t particular about the outdoor goods, you may be able to score even a better deal later into the year (late September and early October) when these good often get discounted even more. The drawback is the selection may be limited at that time. If you’re planning to paint your house, this can be an ideal to stock up on outdoor paint. With summer coming to an end, less outdoor paint will be used in the coming months as more people focus on indoor painting. That means stores need to get get rid of excess outdoor paint to make room for more indoor paint, and you can land a deal in the process. Much like outdoor furniture, this weekend can be a great time to pick up a specific grill that you don’t think will be around much longer. Grill prices will continue to be discounted as we get closer to November, but the selection will also diminish as time goes on. 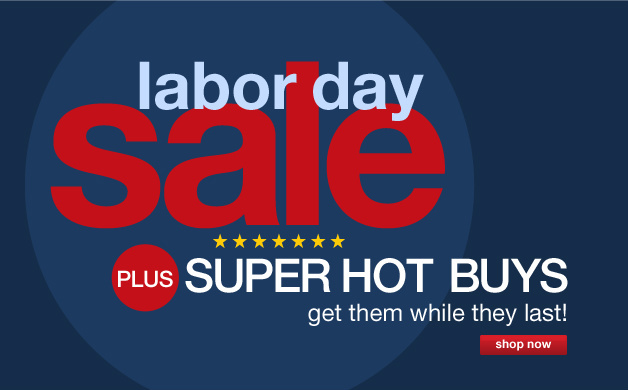 Labor day sales can land you the grill of your dreams at a good price guaranteeing you have it for use a short time before winter arrives, plus years to come. Labor Day sales are the kickoff to September and October sales which are usually viewed as the best month to find deals on major appliances. There are a number of retailers discounting major appliances as part of their Labor Day sales, so if you’re in the market to replace an older appliance, this can be a great time to do so. The company has already begun testing the Starbucks Evenings concept, and it hopes to expand it to 40 stores by the end of 2014. The results thus far indicate that the concept works, and it brings added sales to the stores during hours that aren’t normally as busy as other times of the day. The company realizes that the concept won’t work in all of its 11,000 retail outlets, but does hope to have it in thousands of its stores where it makes sense. The concept works better in urban areas where people are already out for the night, such as areas near theaters or restaurants. 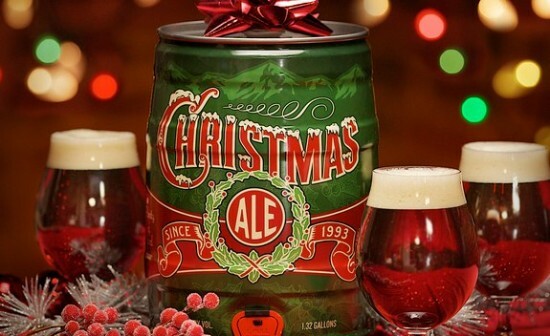 In addition to serving beer and wine, the company will expand its food offerings for the stores where this plan is implemented. For example, in the Chicago test market where a number of stores have been serving alcohol since January 2012, you can get chicken skewers and truffle Mac & Cheese with your glass of Chardonnay. If that doesn’t whet your appetite, there is always chocolate fondue. As you might imagine, stopping in to buy a beer or grab a glass of wine on a regular basis from a store where $5 cups of coffee are common won’t be a good way to save money or stick to your budget. That being said, it might be a way to save a bit of money on drinks while out on the town with a little ingenuity. A lot will depend on the pricing of the alcohol at the stores compared to other nearby establishments that also serve wine and beer. 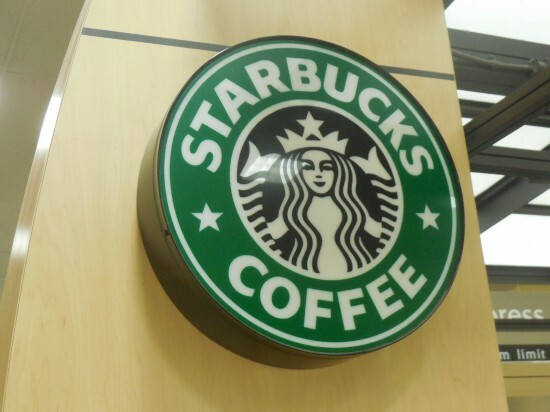 I can imagine opportunities to buy Starbucks gift cards on the secondary market at a discount. These are often available at a discount of 20% or more. If you’re able to get the gift cards at a good discount, that might make their evening offerings competitive with other establishments serving alcohol in the area. Of course, by far the best way to save money would be to take the same actions that will save you a ton of money when it comes to buying coffee. Buy and make your own drinks at home. This won’t be possible in every circumstance, and it does take a bit more planning, but it will save you a ton of money over buying the same drinks at Starbucks or any other drinking establishment.